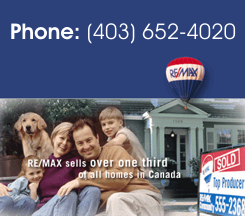 Strathmore homes for sale with Strathmore real estate directory plus condos in sought after Strathmore communities. With Strathmore new homes plus just listed homes for sale you're sure to find a easy place to call home. Looking to settle down in Strathmore but wondering where to start? Even if you think you know sometimes it can be hard to find the perfect home. And whether you're looking for a quiet place to settle down, or you want to be close to downtown we've got the Strathmore listings. Strathmore is a town located along the Trans-Canada Highway in southern Alberta, Canada, 40 kilometres (25 mi) east of the city of Calgary, within the boundaries of Wheatland County. The town began as a hamlet for the Canadian Pacific Railway (CPR) lines that were built in the area in 1883. In 1905, the CPR moved the hamlet of Strathmore four miles north to its current location. A track laying record was made between Strathmore and Cheadle when the railroad was built. In one hour one mile (1.6Â km) of steel was laid and, at the end of the ten-hour working day, the rails were laid to Cheadle, 9 miles (15Â km) for a record. Efforts by the Canadian government to develop western Canada led to increases in Strathmore's population and its importance as a rail supply stop. The CPR railroad tracks are now gone, the land having been subdivided. In 2006, Strathmore had a population of 10,336 living in 3,943 dwellings, a 34.2% increase from 2001. The town has a land area of 15.59Â kmÂ² (6Â sqÂ mi) and a population density of 655.7/kmÂ² (1,698.3/sqÂ mi). Today, the town is an important agricultural community. Oil and gas exploration is also a growing interest in the area. It is the headquarters of the Golden Hills School Division. Many commute daily from Strathmore to Calgary. Over the past three years the town has seen a major growth in commercial development. Strathmore is part of the Goldenhills School Division. Strathmore has three elementary schools (Wheatland, Westmount, and Brentwood), one junior high school (Crowther Memorial Junior High School), one high school (Strathmore High School) and a Catholic School that runs from K-6 (Sacred Heart Academy) as well as a 7-12 catholic school (Holy Cross Collegiate).